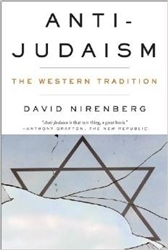 This incisive history upends the complacency that confines anti-Judaism to the ideological extremes in the Western tradition. With deep learning and elegance, David Nirenberg shows how foundational anti-Judaism is to the history of the West. Questions of how we are Jewish and, more critically, how and why we are not have been churning within the Western imagination throughout its history. Ancient Egyptians, Greeks, and Romans; Christians and Muslims of every period; even the secularists of modernity have used Judaism in constructing their visions of the world. The thrust of this tradition construes Judaism as an opposition, a danger often from within, to be criticized, attacked, and eliminated. The intersections of these ideas with the world of power—the Roman destruction of the Second Temple, the Spanish Inquisition, the German Holocaust—are well known. The ways of thought underlying these tragedies can be found at the very foundation of Western history.